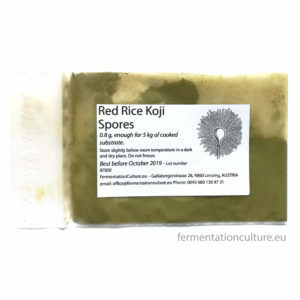 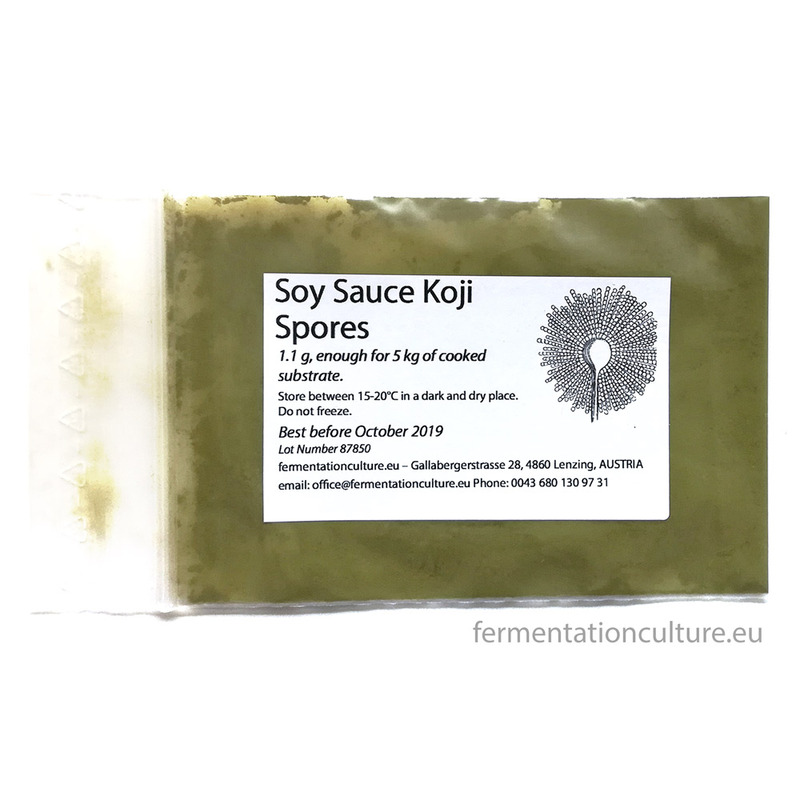 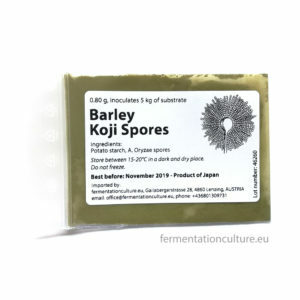 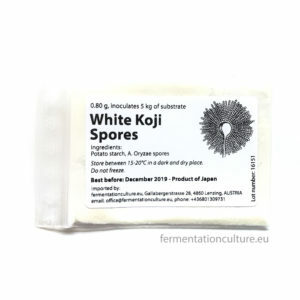 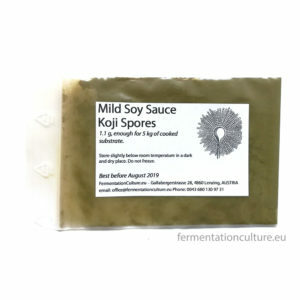 This is an easy to use strain for soy sauce with strong protease activity. 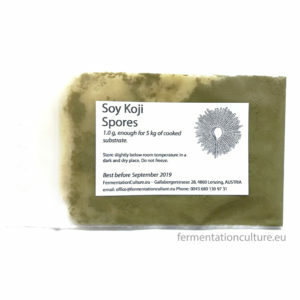 According to the producers, this strain takes three days to fully grow on the substrate (soy beans). 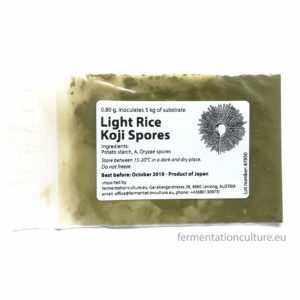 In my experience with using it on bulgur, it devoured it within one and a half days. 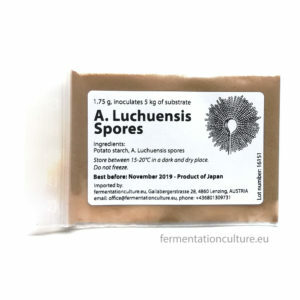 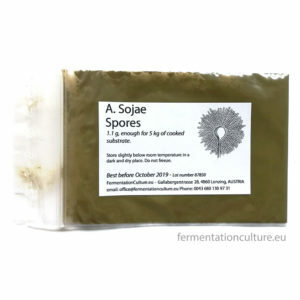 One bag contains 1.1 g of spores, enough for 5kg of cooked substrate.